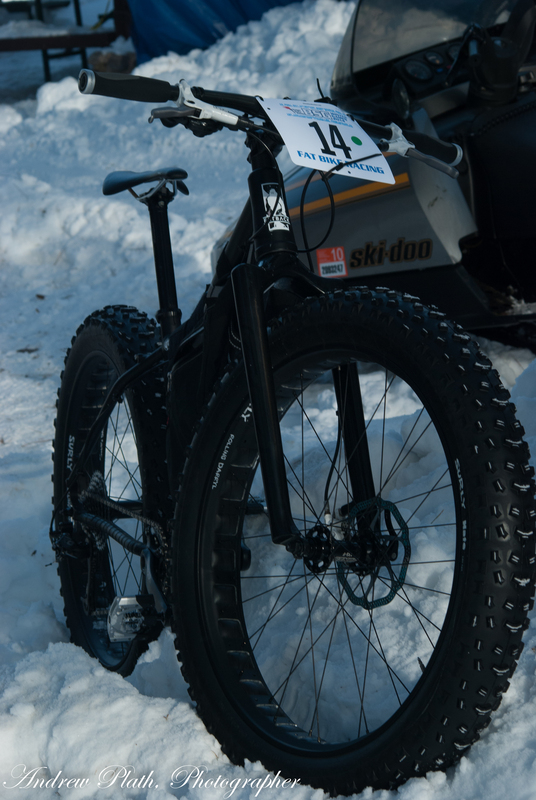 When I first saw one of these things in a bike shop, my thought was “you’ve got to be kidding”. 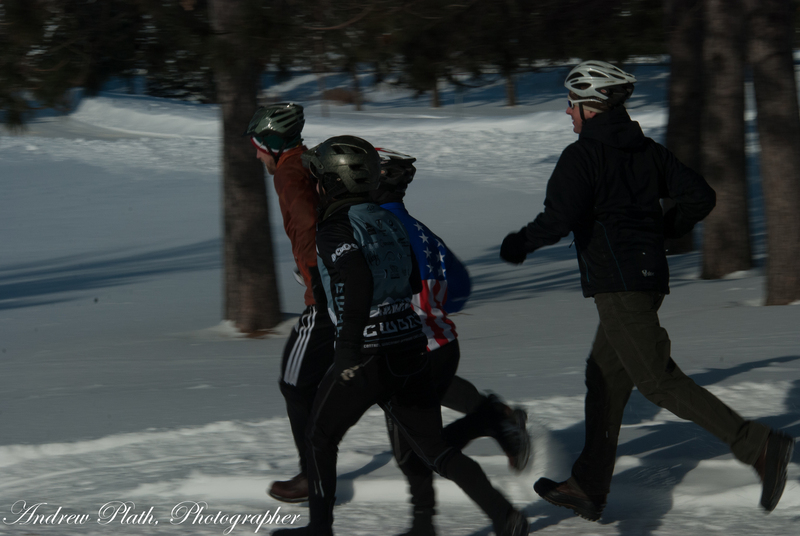 On Saturday, January 18, 2014, the Central Wisconsin Off-road Cycling Coalition http://cwocc.org/ held its first ever snow bike race out on the newly carved trail system in Sunnyvale County Park. I decided that I should check these things out. I wanted to see how they performed. I should have stayed around for more. The weather was cold, but beautiful. 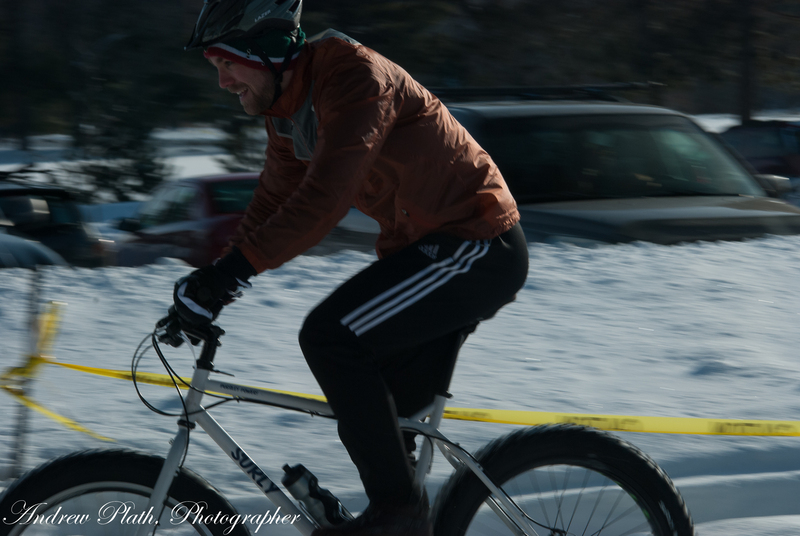 It was a good day to see cyclists slug it out with these big tire bikes in the snow.